Our research has been focused on water/wastewater/stormwater management, solid waste management, and contaminated soil remediation with focus on phyto-techniques, and environmental economics and also sustainable actions towards the circular economy such as landfill mining and harbour mining. Our research is often conducted through close collaboration with industries, companies and other partners outside academia. The aim is to move our society towards sustainable development and an environment that does not pose any negative effect on ecological status and public health. We do research in different scales, such as laboratory, pilot and full scale since it is important to consider real conditions to achieve adequate results. A healthy environment for all people requires a holistic approach to the management of different types of water (stormwater, rain water, industrial and domestic wastewaters) and solid waste. Throughout the course of our research we have been out in the field taking samples and actually trying to solve the problems on site. There are still industries that produce low volumes of highly contaminated waters that municipal wastewater treatment plants cannot handle. 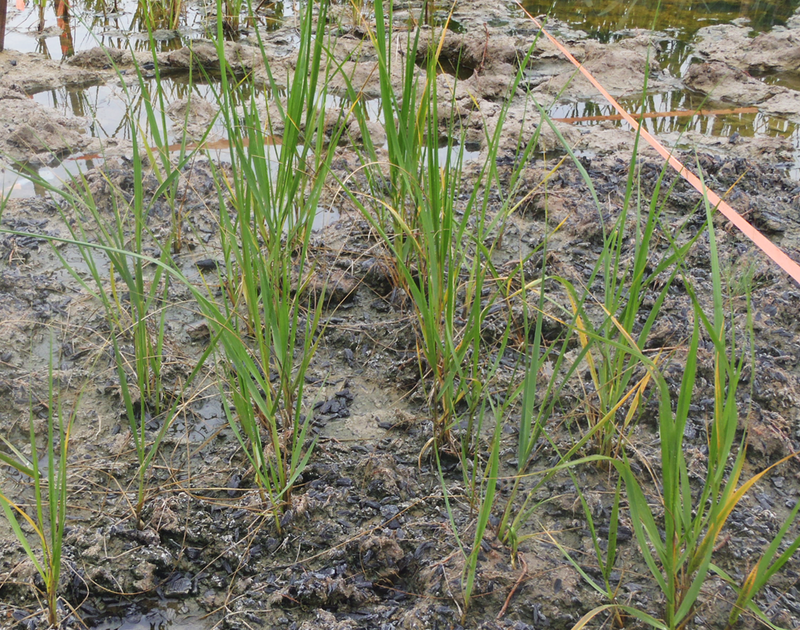 We have worked in the past years towards the development of low-cost non-conventional treatment systems to tackle such types of waters such as the use of anaerobic-intermittent aeration processes, wetlands, and sorption with wood-based sorbents such as sawdust and fly ashes. We have also combined these processes with more advanced solutions such as ozonation, photolysis using UV energy and fenton reactions. Our research group has been carrying out a number of toxicity studies with different environmental matrixes and also test organisms in order to evaluate the effects of contaminated soils and waters and also to evaluate the effectiveness of treatment systems. Usually treatment systems are evaluated based on physico-chemical parameters but our group has learned that toxicity studies are a considerable adequate way of understanding treatment of contaminated waters and soils. Over the past few decades, the widespread exportation and consumption of crude oil and metals have led to massive release of these toxic compounds in the environment. Our research group has been studying on laboratory, greenhouse and pilot scale the use of different types of plants-microorganisms to clean up soil contaminated by petroleum hydrocarbons and metals. 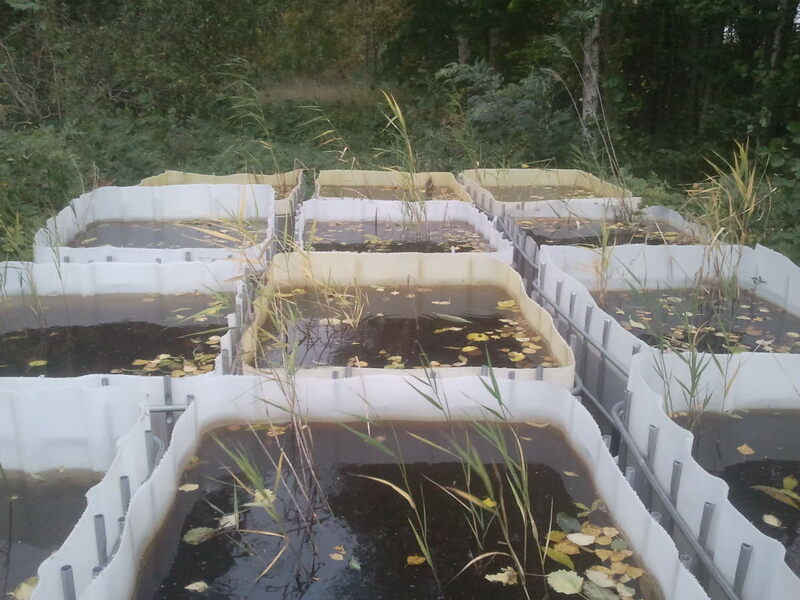 Phytoremediation studies have been done in cooperation with Rio de Janeiro State University, Montreal University and Kalmarsundsregionens Renhållare - KSRR. Waste management is regarded as a basic human need and one of the most important rights. Managing all types of waste in an adequate manner is a global challenge due to considerable population growth (currently 7 billion and expected to increase to more than 9 or 10 billion by the end of this century). According to the World Bank the current global waste generation is 1.3 billion tons and is expected to double within the next 10 years. Waste management is defined as the collection, transportation, treatment/processing, recycling/recovery and disposal of different types of wastes (municipal and industrial) in a proper way. ESEG group has been working with the concept that all types of waste must be considered as valuable resources either as materials or energy. We have been participating in international network and research projects for landfill mining, which has been considering closed landfills as mines with valuable material and energy for recovery. 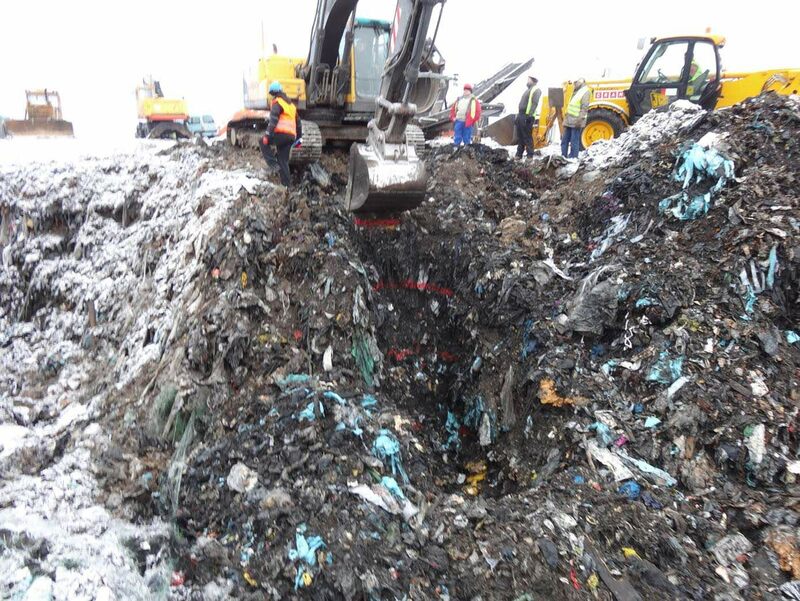 ESEG group has also worked with waste disposal techniques and potential air emissions from waste disposal/processing technologies, such baling techniques. The negative effects posed by spontaneous fires in waste disposal areas have been also focused by ESEG in the last years. The complexity of environmental problems often requires that many parts of society collaborate. Such collaboration aims to provide solutions that are viable for all partners. Environmental scientists at university can collaborate with industries, companies, public sector, civil sector and other participants in society. This has been less studied in practice however. To remedy this, the research group has had a sociologist working inside the group since 2011. Joacim Rosenlund has performed interactive research with the aim to find out more about such collaboration, which has sometimes been called: triple helix, quadruple helix, mode 3 and more. Making collaboration work better in practice would in the long run benefit all environmental research projects that have any interaction with sectors outside of university. This H2020 project, developed by Consulta Europa on behalf of the Government of Canary Islands, will elaborate strategies for waste management in touristic cities. From 6th till 8th of June a Kick off meeting of the URBAN-WASTE project took place in Tenerife. 27 partners from 13 countries just started a 3 years collaboration so as to achieve the objective of this project: reduce waste production in touristic cities. Urban Innovative Actions (UIA) is an Initiative of the European Commission that provides urban areas throughout Europe with resources to test new and unproven solutions to address urban challenges. Based on article 8 of ERDF, the Initiative has a total ERDF budget of EUR 372 million for 2014-2020. From 6th till 8th of June a Kick off meeting of the URBAN-WASTE project took place in Tenerife. 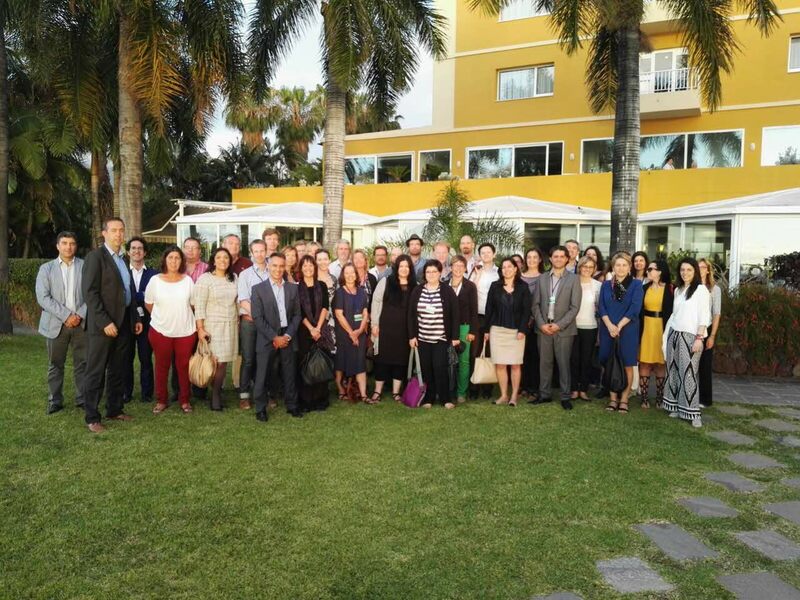 27 partners from 13 countries just started a 3 years collaboration so as to achieve the objective of this project: reduce waste production in touristic cities. On October 12th-13th, 2017, 30 participants from the Baltic countries, Ukraine, Georgia, Russia, Poland and Sweden took part of the Kick Off Meeting at Kalmar, of the PECEC project sponsored by Swedish Institute. By ozone application, a new technology- from laboratory scale through pilot scale up to full scale. William Hogland awarded " The Atlas"-prize, Research for a Better World, together with researchers Dr. Lilliana Abarca and Prof. Gaz at Eindhoven University of Technology (TU), 28 May 2015. Joacim Rosenlund awarded the Linnaeus Academy Travel Grant, 1 April 2014. Eva Kumar received her award from Linnaeus University (500.000 SEK) for her project for the removal of arsenic from contaminated water at glass-work using nanotechnologies, 25 March 2014. Fabio Kaczala, Marcia Marques and William Hogland received the Best Poster Award for the paper "Biotreatability of wastewater generated during machinery washing in wood-floor industries" at the 5th International conference on Environmental Science and Technology ICEST-2010, Houston-Texas, USA, 12-16 July, 2010. MSc Henric Svensson received a prize, 25 000 SEK, from Sparbankenstiftelsen for thesis "Leaching test with sawdust from different tree species", 2010. Fabio Kaczala awarded the First Linnaeus Stipendium from Kalmar Municipality and Växjö Municipality (500,000 SEK) for the project "An Integrated and Innovative Approach for Wastewater and Stormwater Management in the Wood-industry sector – Low Cost and Eco-friendly technologies", 2011. Fabio Kaczala was awarded with a PhD scholarship from the CAPES- Brazilian Ministry of Education with a 2nd place among 5 scholarships for candidates all over Brazil. (1,000,000 SEK), 2007. William Hogland awarded the medal for "Nit och redlighet i rikets tjänst" (Zealous and devoted service to the state work during 30 years in the Service of Swedish State), Kalmar Castle, 16 December 2008. Joacim Rosenlund, Linnaeus University, licentiate thesis "An Interactive Research Approach to the Triple Helix Model in Environmental Science", 30 January 2015, ISBN: 978-91-87925-40-5. Henrik Hansson, Linnaeus University, doctoral thesis "Treatment of wastewater generated by wood-based dry industries: advanced oxidation processes and electrocoagulation", 12 September 2014, ISBN: 978-91-87925-11-5. Eva Kumar, Linnaeus University, doctoral thesis "Removal of Inorganic Anionic Pollutants from Water using Adsorption Technology", 3 September 2013, ISBN: 978-91-87427-39-8. Henric Svensson, Linnaeus University, doctoral thesis "Characterization, toxicity and treatment of wood leachate generated outdoors by the wood-based industry", 5 June 2014, ISBN: 978-91-87427-86-2. André Luís de Salamaõ, doctoral thesis "Occurrence and ecotoxicity of endocrine disruptor chemicals in aquatic environment and sewage treatment systems", 23 May 2014, ISBN: 978-91-87427-87-9. Muhammad Asim Ibrahim, doctoral thesis "Risk of spontaneous fires at temporary storage sites for organic material, waste fuels and recyclables: quantification and mitigation", 28 February 2014, ISBN: 978-91-87427-71-8. Sawanya Laohaprapanon, doctoral thesis "Wastewater Generated by the Wooden Floor Industry: Treatability investigation applying individual and coupled technologies", 23 May 2013, ISBN: 978-91-87427-28-2. Viacheslav Mutavchi, doctoral thesis "Solid waste management based on cost-benefit analysis using the WAMED model", 24 February 2012, ISBN: 978-91-86983-30-7. Fabio Kaczala, doctoral thesis "Wastewater and Stormwater from the Wood-floor Industry: Towards an Integrated Water Management", 13 October 2011, ISBN: 978-91-86491-93-2. The 10th international conference on natural sciences and technologies for waste and wastewater treatment, remediation, emissions related to climate, environmental and economic effects. Linnaeus Eco-Tech jubilee, 20 years! The ninth conference hosted about 180 participants from more than 17th countries presenting a total of 124 papers. 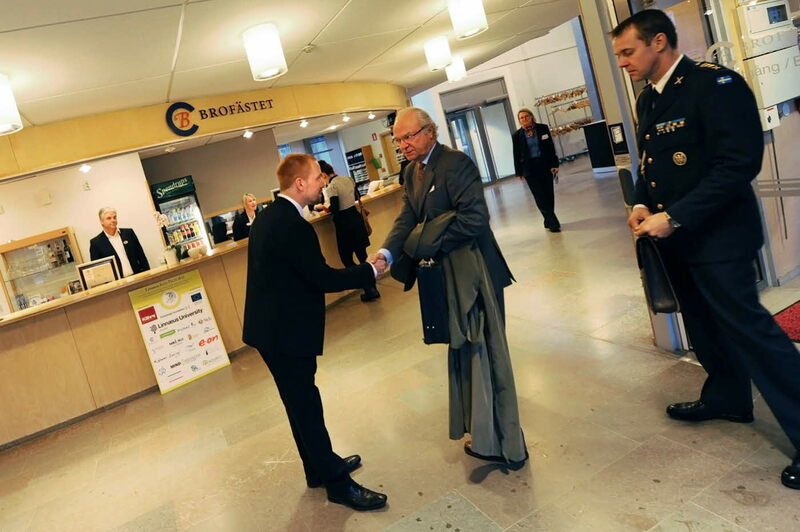 His Majesty, King Carl XVI Gustaf participated in the conference in the second day giving a speech in the morning and coming together with other participants on the technical tours in the afternoon to wastewater/water-related companies Läckeby Water / Purac and KSRR (Kalmar south region Scavenger). During the technical visits the latest innovations and achievements in the subject of waste/wastewater management were focused. The 8th International Conference on the Establishment of Cooperation between Companies and Institutions in the Nordic countries, the Baltic Sea Region and the World hosted about 215 participants from 21 countries presenting a total 100 papers. Linnaeus Eco-Tech has been hosted guests every second year, from all over the world, since 1997. Linnaeus Eco-Tech 2010 (Waste and Wastewater Treatment, Remediation, Emissions Related to Climate, Environmental and Economic Effects) successfully hosted about 200 participants from 34 countries presenting a total 130 papers. A meeting of the EU project Sustainable Innovations and Treatment in industrial Wastewater Clusters (STInno) also took place during the event. A memorable 10-year celebration of Kalmar Eco-Tech! The 6th International Conference on the Establishment of Cooperation between Companies and Institutions in the Nordic Countries and the Countries in the Baltic Sea Region, and the World brought together about 180 participants from 30 countries presenting 115 papers. The 5th International Conference on the Establishment of Cooperation between Companies and Institutions in the Nordic Countries and the Countries in the Baltic Sea Region, and the World was considered very successful about 165 participants from 23 countries and a total 109 scientific papers. Since 2005 the Conference has been opened not only to the Baltic region but also to the whole World. The fourth International Conference on the Establishment of Cooperation Between Companies and Institutions in the Nordic Countries and the Countries in the Baltic Sea Region was focused on "Bioremediation and Leachate Treatment" with financial support from the Swedish Institute. About 128 participants from 15 countries attended the conference presenting 64 papers. 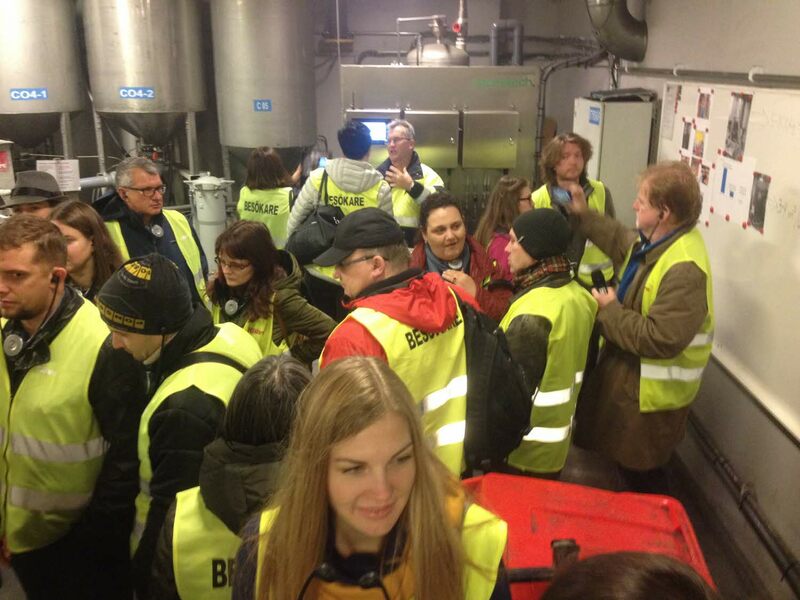 The third International Conference on the Establishment of Cooperation Between Companies and Institutions in the Nordic Countries and the Countries in the Baltic Sea Region was directed towards "Leachate and Waste Water Treatment with High-Tech and Natural Systems" was attended with 52 participants from 11 countries presenting a total 38 papers. The 2nd seminar was held under the title Kalmar ECO-Tech´99 - Seminar on Ecological Technology and Management. The programme committee has included participants from 10 countries. About 130 participants presented 64 papers. The seminar has become a tradition with a return period of 2 years. The first Kalmar Eco-Tech Conference was held, when the city of Kalmar celebrated the 600th anniversary of the Union among the Nordic Countries. The seminar on waste Management and the Environment - Establishment of Cooperation between Companies/Institutions in the Nordic Countries and the Countries in the Baltic Sea Region was considered very successful about 67 participants from 11 countries and a total 44 scientific papers. Eco-Tech-12 Conference: His Majesty, King Carl XVI Gustaf participated in the conference in the second day giving a speech in the morning and coming together with other participants on the technical tours in the afternoon to wastewater/water-related companies Läckeby Water / Purac and KSRR (Kalmar south region Scavenger).